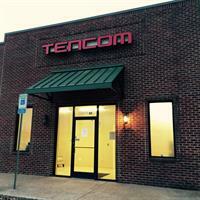 Tencom Services is a managed IT services provider as well as a digital marketing agency. This right brain / left brain, tech / creative mix has served us well since 2002 when we started primarily as a web design agency. With our background firmly rooted in tech we began offering IT services for businesses soon after and have grown to offer a full host of services to small businesses and organizations throughout the Southeast and beyond. With two offices in West TN we are on the grow again looking to expand aggressively in 2015. If you are a CEO, CMO, COO or something in between we'd like to hear from you and see how we can help your business grow with our IT and Marketing services. We know that founders and managers need to focus on executing their plans and we are focused on supporting you from your IT infrastructure to managing your digital marketing strategy. All we care about is getting your phone to ring. It's really the only stat that matters in our business. Located on Mall Blvd in The Village. Behind Wal-Mart and Neil's BBQ.